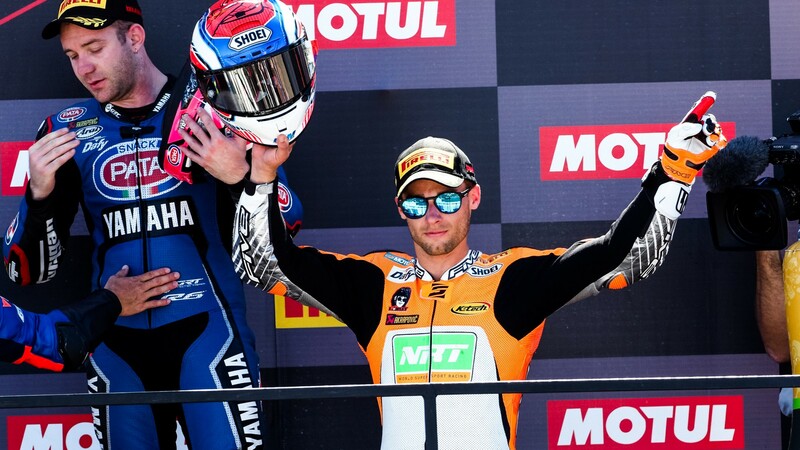 Cluzel: "I’m not one to give up, the pressure just makes me better"
In many ways, the FIM Supersport World Championship race in Argentina played out much like the previous one in Magny-Cours. A GRT Yamaha one-two in qualifying, championship leader Sandro Cortese (Kallio Racing) making a slow start off the grid followed by a powerful surge into second… And race leader Jules Cluzel (NRT) not welting under the pressure. The French rider led an impeccable race at the Circuito San Juan Villicum, moving into P1 inside lap one despite his second-row start and controlling his pace perfectly from there onwards. 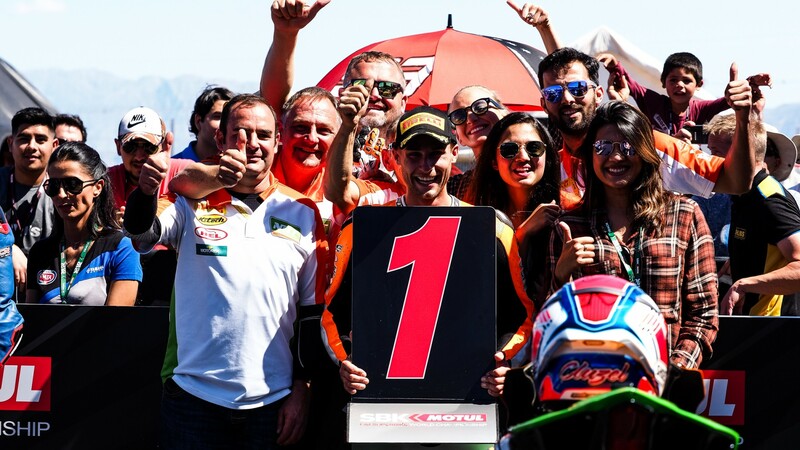 Cluzel – who turned 30 in Argentina – has now managed five victories in 2018, just one less than the rest of the grid combined and as many as he had won over his previous three seasons. 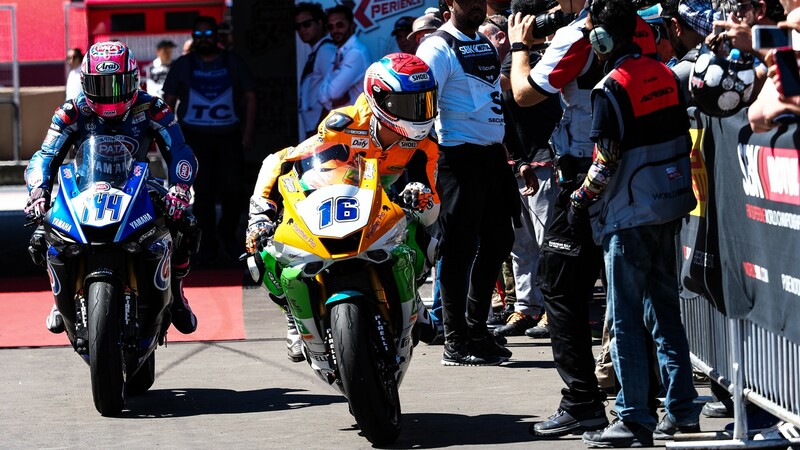 Yet the consistency shown by Cortese throughout his maiden WorldSSP year means that even another win – number six – may not be enough for the NRT rider to win the championship. The Frenchman knows exactly what he will need at Losail – a third party: “I need some help from the other guys. It’s Sandro and me battling at the front, but we need Mahias, Caricasulo, Gradinger, Krummenacher… We need other guys. Hopefully they’ll be there in Qatar. For sure I will help everybody there to be in my slipstream and to be faster – I want it!”. Commenting on the race, Cluzel said: “It was a bit crazy at the beginning, but then step by step I got into my pace and started to be strong. I saw that the group was just three guys, then I saw Cortese behind me, but not really close so I stayed calm”. “I will never give up”, he adds. 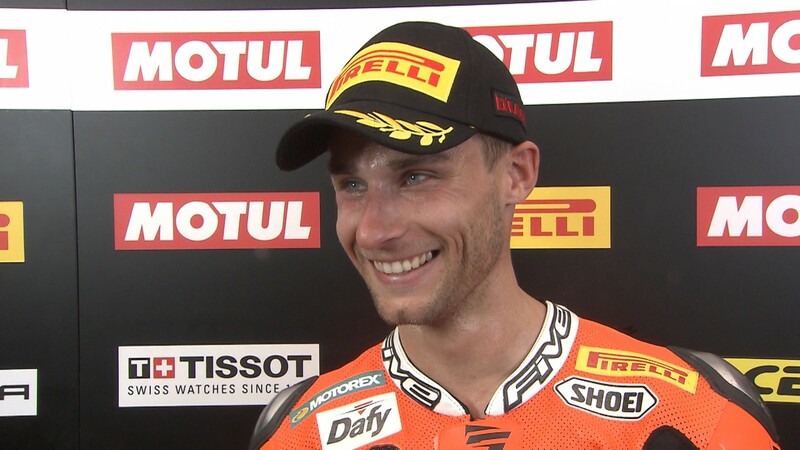 “I already said it at Magny-Cours: I think everybody now knows me and that I’m not one to give up. The pressure just makes me better”. Relive yet another heart-stopping World Supersport race thanks to WorldSBK VideoPass.